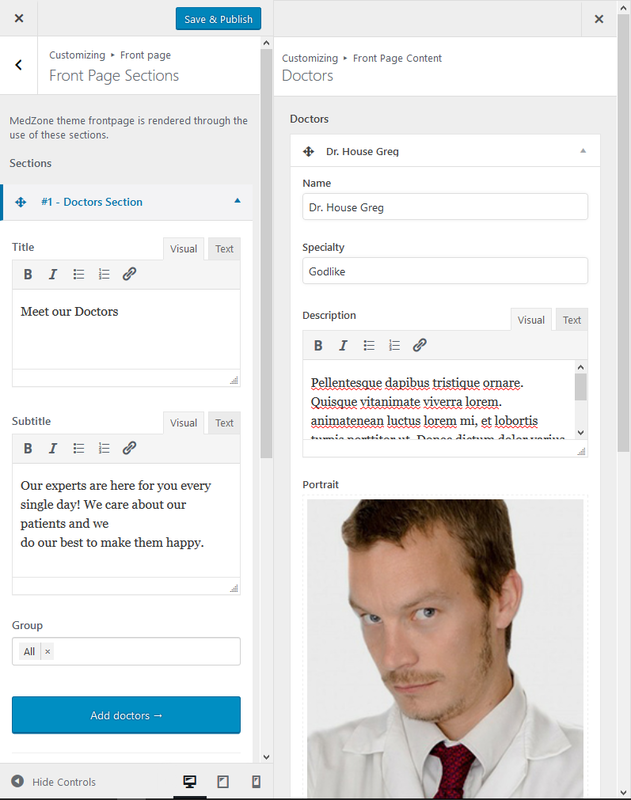 The Doctors Section allows you to display your staff members. You can add any number of doctors for this section and also control which staff members you want to show. Add doctor : you can use this to add your staff members/doctors. Each doctor added requires a name, speciality, description, portrait. Although optional you can also add social media links for each doctor. Group : select the doctors you want display in this section.